Edit: The free Sunday in September is on the 8th, not the 1st. In the endless quest for inexpensive activities around the Teaneck area, I remembered today about Bank of America's program. 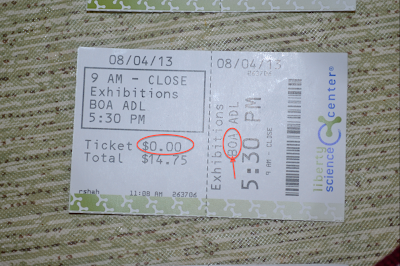 My family of 3 went to The Liberty Science Center today in Jersey City for a total of $15. Tickets are normally $20 for adults and $15 for children 2-12 yrs old for a total of $55 for a family of 3. Bank of America Museums on Us program gives Bank of American credit card holders free access to some museums on the first Saturday and Sunday of the month. 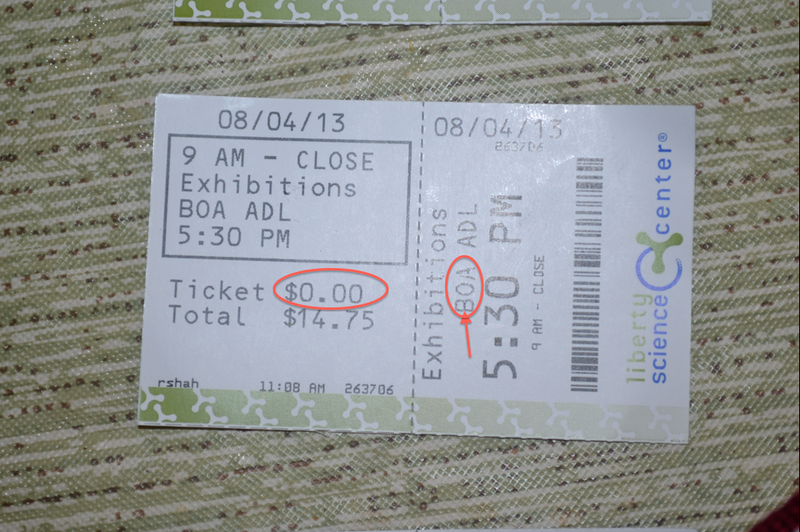 Armed with credit cards and IDs, my wife and I were able to get free tickets for ourselves for savings of $40. We still had to pay the $15 for our son (if anyone can figure out how to get a 2 yr old a credit card, please let me know), but $15 for the 3 of us isn't too bad.